Dr. William Pawluk, MD, is a previously American board-certified family physician with a practice near Baltimore, Maryland. He has had academic appointments at a number of universities, including Johns Hopkins and the University of Maryland. He has had training in acupuncture, homeopathy, hypnosis, and bodywork and is considered the foremost authority on the use of Pulsed Electromagnetic Field therapy in North America. At drpawluk.com, our mission has always been education first and foremost. 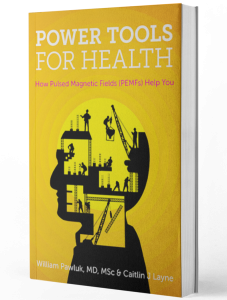 We hope to transform the way traditional medical professionals and holistic practitioners incorporate magnetic field therapy into their standard care. Billions of dollars are spent on pharmaceuticals and promises of “cures.” Often these options are symptom coverups masquerading as solutions and don’t do much to address the underlying cause of the disease or disorder. Through continued research, we hope to bring PEMF technology more to the forefront of allopathic medicine, reducing the need for pharmaceuticals and improving the lives of all who use this therapy. Thousands of users subscribe to Dr. Pawluk’s free monthly e-newsletter, where we promote new content, provide information on new or updated research, and describe new products when available. Our site caters to anyone with an interest in their health, including consumers with health problems or who want to maintain or optimize their health, traditional and functional medical professionals, pet owners and veterinary doctors including equine professionals, athletes, trainers, dentists, and researchers. 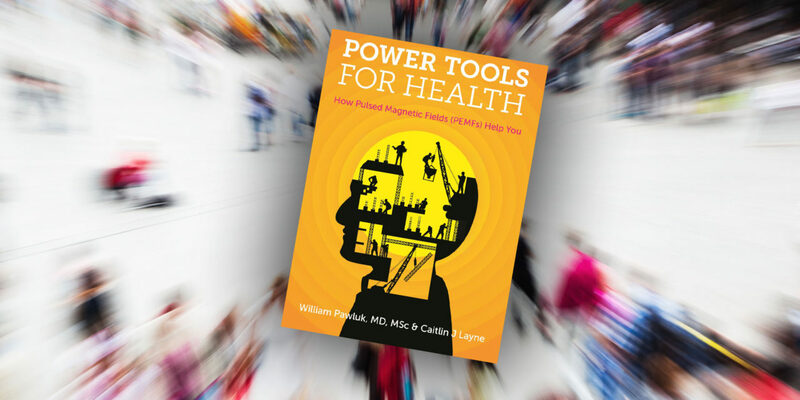 Founded in 2003, DrPawluk.com is the #1 resource for education on Pulsed Electromagnetic Field therapy. Since 2010, DrPawluk.com has been the leading resource for consumers who want to purchase a PEMF system from an unbiased medical professional. DrPawluk.com offers all of its original educational information for FREE. Dr. Pawluk himself spends hours each week combing through new research and medical journal information to find relevant information for his customers. DrPawluk.com receives more than 50,000 page views each month, and the numbers are growing as more people seek unbiased, research-based information about their health. Interested in interviewing Dr. Pawluk? Please email media@drpawluk.com. Interested in using our content? Everything on our website is original content and copyrighted, so you’ll need to obtain written permission to reprint anything you find on DrPawluk.com. Please email us at admin@drpawluk.com with your request. We encourage sharing of this valuable information and want to help ensure you’re using proper attribution so the information stays objective. DrPawluk.com was founded as an education-only website and original education content makes up the core of our website. Products offered for sale on DrPawluk.com have been selected by Dr. Pawluk after extensive research and testing, and can be offered alongside competitor devices because of the special relationships Dr. Pawluk has developed with manufacturers in the industry. We stand behind the products we carry, but are not the manufacturers of any devices. At DrPawluk.com, we take your privacy and online security seriously. We have a current SSL certificate and all online payments go through PayPal, the number one online card processing service. We will never share your email address or other information with anyone. Funding on this site exclusively comes from the sale of products on DrPawluk.com. Profits from this website are used for maintenance and improvement of this site and to maintain a well-educated support staff. Neither DrPawluk.com nor Dr. Pawluk himself accept any third-party advertising or sponsorships. DrPawluk.com has a small staff with each employee trained by Dr. Pawluk himself. The office is located in Towson, Maryland and is a separate entity from Dr. Pawluk’s family practice. William Pawluk, MD, MSc, is a previously American board-certified family physician with additional training in acupuncture, homeopathy, hypnosis, energy medicine, and bodywork. He has had academic faculty appointments at a number of universities including most recently Johns Hopkins and the University of Maryland. He currently practices functional and holistic medicine in Baltimore and has appeared weekly on a health radio show at www.wcbm.com for ten years. In addition, he is an international expert in the medical use of electromagnetic fields with over twenty-five years of experience. In recognition of this experience, he has appeared on The Dr. OZ Show regarding use of magnetic therapy devices for helping pain. 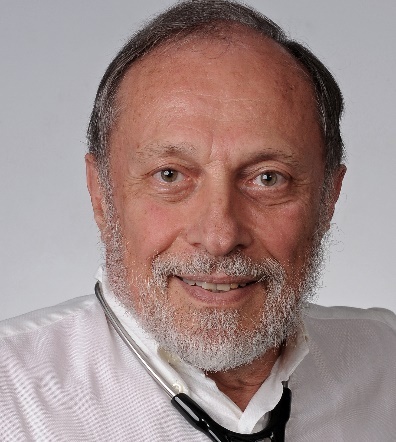 As part of his work with this technology, he has authored books, chapters, articles, and done numerous TV, radio, and magazine interviews on magnetic field therapies, conducted research on the use of various kinds of electromagnetic systems on wound healing and other applications, and teaches practitioners on the appropriate use of magnetic therapies. He was formerly vice president of the North American Academy for Magnetic Therapy, responsible for the annual conferences for many years. To be able to continue to educate both the public and practitioners and help make this valuable technology available to consumers, he has established an authoritative website www.drpawluk.com, reviewing the science of pulsed electromagnetic field (PEMF) therapy and various PEMF therapy options.